Description: No English members’ club or decent country house can be found without a classic pool table. 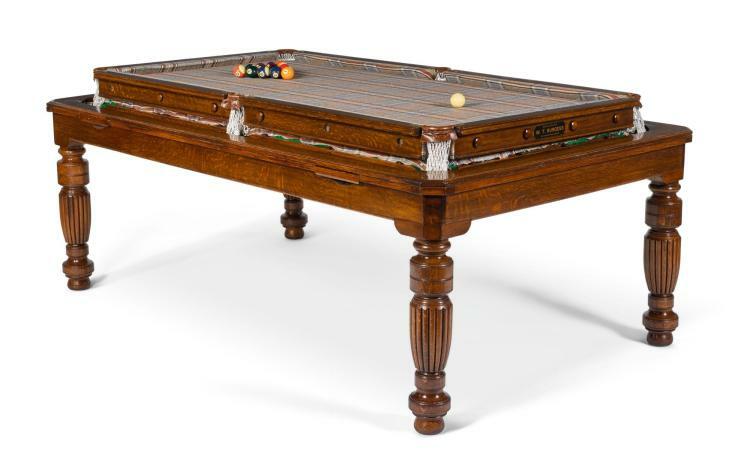 Huntsman commissioned the restoration of this Vintage Oak Pool Table from W.T. Burgess, and had it fitted in Huntsman exclusive Gregory Peck Bespoke Tweed for a unique design. The table has the further attraction of a rollover top, which transforms the piece into a classic dining room table.